Whether you are a male or female, shaving is a staple of life. Society has constructed an ideal model of body hair for both men and women and must adhere to these standards by shaving their faces, legs, what have you. However, since shaving requires the use of sharp blades to cut down strands of hair close to the skin (much like mowing a bed of grass with a lawn mower), the epidermis often gets scraped too far and damaged, causing abrasions that have the potential to get infected. This is where aftershave comes in. Aftershave is a liquid solution applied to the skin after shaving as the name implies. It contains an antiseptic agent comprising ingredients, such as denatured alcohol, to reduce skin irritation and prevent infections. Some aftershaves may use menthol as a numbing agent and for a cool finish. One such product for dealing with the pitfalls for shaving is Old Spice aftershave. What Is Old Spice Aftershave? Old Spice is most commonly known for their recent and successful advertising campaign “The Man Your Man Could Smell Like,” and the success of the campaign has pushed them ahead of their competition, although the marketing was not the sole purpose for Old Spice’s success. Old Spice has been around since 1938, and paradoxically, it produced fragrances for women. After its success, the company released a version of their fragrance for males, and it has remained standing for years to come. However, times were changing. New products were emerging consumer desires were shifting, and as a result, Old Spice was struggling to stay relevant. Procter & Gamble eventually bought out Old Spice and manufactured new products under the name, and to sell the products; the company pursued an aggressive marketing campaign. Isaiah Mustafa (The Man Your Man Could Smell Like) and former NFL player Terry Crews, Old Spice garnered a tremendous amount of attention with their popular appeal and humorous portrayal in mass media. The advertising campaign was so successful; it threw the company into a golden age. Now, Old Spice offers a variety of products geared towards multiple demographics, especially tapping into the younger market by modernizing their branding. The Old Spice aftershave is well known in their line of products, due to the subtle fragrance, practicality, and overall value of the product. Some of their lesser known products are the body wash and shampoo, which use fragrances that are outside of their normal scope of smells they are recognized for. According to Bespoke Unit’s Fragrance Formula chart, Old Spice original aftershave contains an alcohol content that is reminiscent of mulled wine. The product has notable hints of jasmine, carnations, and evokes a woody amber base with a gourmand vanilla finish, as a result of the cinnamon spices and spicy citrus undertone. The newest aftershaves have been reformulated for a stronger fragrance as opposed to providing stronger effects. The formula is made up of blood orange, anise, and nutmeg to evoke the spicy citrus at the head. The heart of the fragrance stems from a combination of carnations, jasmine, and cinnamon, and the base comprises cedarwood, vanilla, and amber resin. The fragrance is good for any season, but it thrives in colder climates. According to Bespoke Unit, the best seasons to wear the fragrance of Old Spice aftershave are Winter and Autumn. The fragrance of the aftershave is rather average in terms of wake and strength. It lasts a significant amount of time, provides enough cleansing and protection to last the typical workday, and the scent radiates just enough to be noticed subtly. According to common feedback, most consumers of the aftershave tend to rave about the fragrance but feel the reformulation is underwhelming this time around. The aftershave has average scores for the quality of the bottle, the atomizer which delivers the aftershave for application, and the packaging id modest. However, these tiny sacrifices allowed Old Spice to deliver on the purpose of the product. Bespoke Unit gave them a full score for overall value per 100 ml. The Old Spice aftershave is ideal for males between the age of 30 and 39. It evokes a strong sense of masculinity. The best time of day for the aftershave to be worn is during the day and is suitable for office environments since the fragrance is subtle and will not impede day-to-day activities. Between Europe and North America, the pricing of Old Spice is similar. Amazon US offers a 150 ml bottle for around $15. Other aftershaves of the same brand recognition and commercial quality retail for up to $34. Some have better quality but smaller quantities, some have poorer quality but are provided in larger quantities. There is a variety of aftershaves to choose from. The following products are available on the market and were scrutinized to see how they compare. As mentioned before, pricing is relatively affordable. 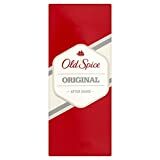 For the quantity offered (a standard of 150 mL), Old Spice aftershave is available for $15 on Amazon. Alternatives range from $7 to $34. The aftershave provides the best value for the one’s money. Just like most aftershave products, this product is a liquid that requires careful retrieval and application and is often used in conjunction with a cloth to capture the aftershave. The cap used to seal off the liquid is reliable, but it seems as though it can be easily removed and lost. There is no real assembly time. Once unpackaged, applying the aftershave is quick: open the cap, dab a bit of aftershave onto a cloth, apply and replace the cap. Although the buoy-design is a classic for Old Spice aftershave, the design does not necessarily adhere to the demographic that the company is trying to target with their “The Man Your Man Could Smell Like” marketing campaign. The design evokes a nautical nature which some are dubbing as a “milk-bottle” design on the other hand. 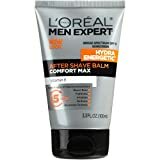 At the time of this writing, the NIVEA Men Sensitive Post Shave Balm is sold as a pack of three, and it retails on Amazon for about $17, 41% cheaper than it’s original price of $27. This pack of three totals 300 ml (100 ml for each bottle), which is three times the capacity of Old Spice aftershave, but at a similar price-point. This is the best deal by far. The design of the cap provides maximum grip and torque for opening the bottle. Otherwise, it is a balm, which is a lot more viscous (matching the consistency of lotion) than liquid aftershave. It can be easily applied without a cloth, so it is practical. The packaging and storage of this product are simple, synonymous with using hand lotion. Simple, straightforward, and to the point, the design of the bottle is clearly indicative of what the product is. The design is also timeless, so it is not limited to any time period or demographic. Some may find this boring or unattractive, so it may not be aesthetically pleasing for everyone. A better deal than the Old Spice aftershave, but a little less bang for your buck from the NIVEA balm, this product retails for around $6 for a respectable quantity of 100 ml, just shy of the same quantity of the Old Spice aftershave. This aftershave balm is in a plastic tube instead and has a flip-open cap, so it is easier to handle overall. The handling for this balm is synonymous with dispensing toothpaste. It is nice and simple. Compared to liquid aftershaves and even the NIVEA balm, L’Oréal’s balm is in a toothpaste-like tubular container. There is no extra effort required in setting up to use this aftershave. One needs to dispense and apply the balm to the target area like lotion. Although targeted for men, the design principle of the container has not changed. The brand is still reminiscent of its focus on products for women, but there is a clear attempt to let the consumer know the product is for men with “Men” in bold letters. The color scheme is slightly bolder and contains more contrasting colors as opposed to the typical bright colors used for women’s products. Now, this aftershave balm is on the higher end of the pricing spectrum, and it is no wonder why it retails for around $34 for 75 mL. This premium balm consists of a multitude of appealing scents, including juniper, rosemary, and sandalwood. Although lavish, the scents are not as overpowering as obnoxious colognes; they are noticeable but subtle. The ingredients themselves are premium in which Birchwood sap and shea butter are used to help resist and soothe razor burn, redness, and small abrasions. Although a twist-off cap, it is easy to access and use the balm, as opposed to liquid aftershaves. The viscosity of the balm allows for easy retrieval and application. The packaging is sold in a box. Once unpackaged, the balm is as easy as some forms of dispensing toothpaste from tubes that use twist-off caps. The desired amount of shaving balm can be retrieved quickly thanks to the lotion-like consistency. With a premium price comes a premium design. The cap of the container is durable and robust; the design represents a stainless steel finish with a sleek, minimal, and modern label with all the information one would need. 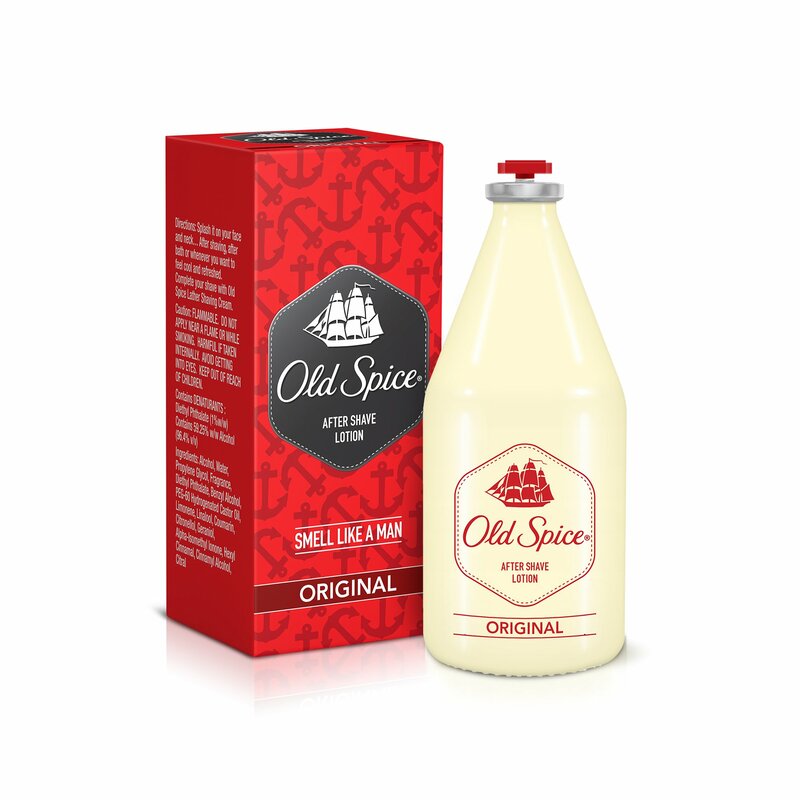 In sum, the Old Spice aftershave is an instant classic that many admire and love, even though their recent reformulation has been met with mixed reviews. New consumers admire it while veterans of Old Spice products have criticized the new scent for moving away from its roots. 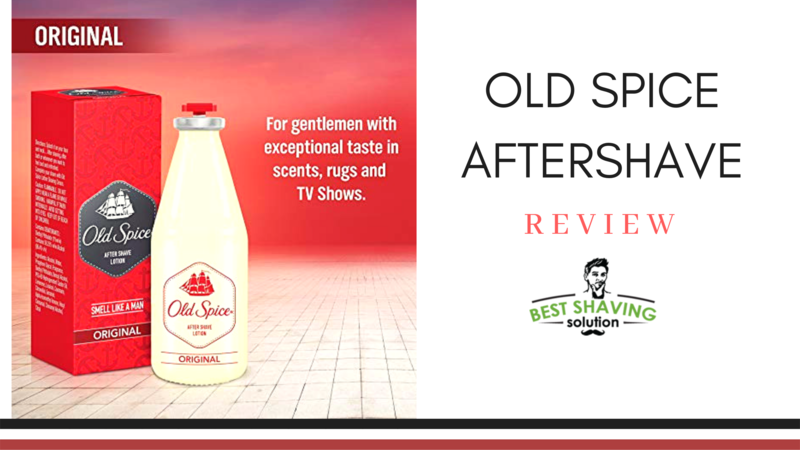 Pit against the other products in this review, Old Spice’s classic aftershave is a significant contender in the market for aftershaves. It is a combination of both a great value and a good balance of natural ingredients. It has earned a solid rating of 4 out of 5 from us. It packs a subtle and unobtrusive fragrance which has caused controversy but has done a good job of satisfying the demographic Old Spice was targeting with their recent advertising campaign. Youngsters purchasing Old Spice deodorants, body washes, and other products in the same category have given the aftershave the attention it needed to stay relevant in this era. The complex composition of the aftershave remains a worthy contender with contemporary designers. This is the familiar Old Spice everybody recognizes.